Borges, Magical Realism and the Virtual Age - Travelling within a film.Travelling within a film. Jorge Luis Borges and the emerging virtual age. 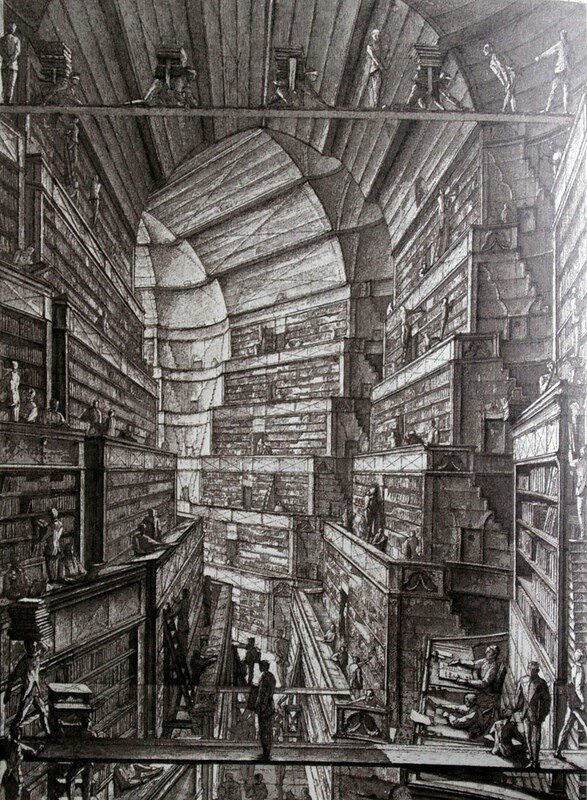 One of Erik Desmazieres’ illustrations of Borges’ Library of Babel. This entry was posted in The wood of my canoe, Wall stickies by Momchil Alexiev. Bookmark the permalink.